What is it about South African President Jacob Zuma and statues? Two statues in one month – generating controversy from the streets of Pretoria to the streets of Owerri in Nigeria. In the first week of October, a 30-feet monument was unveiled in honour of President Zuma in the North West region of his country. South Africans had opposed the idea of the statue since it was first proposed in February 2017. When it was eventually unveiled, and labeled a monument, the attendant outrage was bitter and loud because it was actually a glorification of Zuma, disguised as a tourist project to preserve the site where Zuma and 45 others were arrested by the apartheid police as they travelled out of the country for military training in 1963. The Premier, Supra Mahumapelo who commissioned the statue was accused of bad governance and insensitivity. The Zuma statue at Groot Marico has a borehole attached to it, whereas there is no potable water in the city in which it is located. Aggrieved South Africans recommended that the Statue should be pulled down, with the Economic Freedom Fighters (EFF) and the Democratic Alliance (DA) offering to take the lead. Jacob Zuma is not one of Africa’s most loved leaders despite his having won election twice and leading one of Africa’s most historic political parties; the African National Congress. His Presidency has been scandal-ridden, from allegations of abuse of office to a personal life characterized by much burlesque. The biggest threat to state reconstruction in Africa has been the ego and misconduct of African leaders. Compared to those he succeeded as South African President, it is hard at this point to imagine Jacob Zuma’s eventual place in South African history. This is the same man that Rochas Anayo Okorocha, the Governor of Imo State in Nigeria has chosen to honour. In the course of a just concluded two-day visit to Imo state, Nigeria, Zuma received the state’s highest honour, a traditional chieftaincy title- Ochiaga (Great Warrior), a street named Jacob Zuma Road, and wait for it- a life-sized statue! Governor Okorocha may not be able to convince anyone that he is not aware of the controversy over the Zuma statue in North West South Africa, and yet another piece of art that showed Zuma scantily-clad. The Premier of North West South Africa, actually wanted a life-size statue of Zuma in bronze, but public objection compelled him to rename the project a monument, but it remains a statue because the only man it celebrates is Zuma, whose obelisk is projected skywards over 6 metres. But his compatriots back in South Africa are not impressed, except may be the compromised South African Presidency which enthusiastically celebrated the deification of Jacob Zuma in a corner of Nigeria. Nigerians and the people of Imo State are unimpressed too. The Owerri statue has only achieved the effect of focusing attention afresh on the shortcomings of the two men at the centre of the drama: President Zuma and Governor Okorocha. “Instead of a statue”, wrote one South African, “Nigeria can keep the real thing”. Well, we don’t need your President. We have our own and nobody has erected a giant statue of his. Another South African wrote: “It’s only fair that Nigeria built a statue of Zuma. After all, under his leadership, we took in a million of their citizens”. Point of correction, sir: Governor Okorocha, not Nigeria, built the statue with public funds. You “took in a million Nigerians?” Or South Africans killed hundreds of Nigerians due to xenophobia? Your statement is actually part of the reason Nigerians are angry: why honour a man under whose watch South Africans are killing Nigerians in South Africa? If you must know, like your Premier of the North West, Governor Okorocha has been accused of wasting public funds on a statue of the South African President when Imo state teachers and pensioners are being owed salaries and arrears for months. To worsen matters, Governor Okorocha is setting up in Owerri, the equivalent of a political Jurassic park. Alongside Zuma’s statue are other statues, draped in national colours of Nigeria and other African countries. My personal worry is that when those other statues are unveiled, we may just discover that Governor Okorocha has included in this emerging park, statues of himself and his wife! African leaders who erect statues are ever so tempted to erect one or two of their own. Okorocha may even one of these days have a brain wave and erect a bronze statue of Zimbabwe’s Robert Mugabe on Nigerian soil. You have your Zuma. We have our Okorocha. He has tried to justify the present gaffe but his explanations sound hollow and false: “We in Imo State have chosen to identify with this great leader who meant well for his people…” We? Which we is Okorocha referring to, please? Did the state House of Assembly deliberate over the decision to establish a political Jurassic Park in Owerri? And who discussed and approved the honour’s list? We? Is Mr. Okorocha referring to his own sycophantic State Executive Council or the local government staff called traditional rulers who gave Zuma the title of Ochiaga? Many Nigerians in fact believe that Nelson Mandela’s statue would have been preferable, especially as Governor Okorocha praised President Zuma as “a great leader who meant well for his people, who had to toil, struggle and fight for the liberation of his people, not minding the consequences thereafter. This to me is courage. This to me is strength of character…” Who are the brainless speech-writers penning these cliches? Nelson Mandela is the one whom these words best describe. President Zuma is the one the South African system is accusing of Constitutional violations, 783 corruption allegations and wanton abuse of the people. The Governor in the long run pretended that there was something positive out of the entire show. In a press statement, we are told: “President of South Africa, Mr. Jacob Zuma has said that a South African must not kill a Nigerian and a Nigerian must not kill a South African, adding that the relationship between Nigeria and South Africa should be stronger than any other part, for the sake of the continent of Africa.” Nobody should kill anybody, Nigerian or South African, in the first place. Murder is inexcusable. Xenophobia defeats the goals of African integration. President Zuma is very adept at telling people what they want to hear. What did he do while South Africans killed Nigerians under his watch? How many South Africans have been convicted for promoting xenophobia and taking the laws into their hands? What has President Zuma done in concrete terms to promote bilateral relations and people-to-people diplomacy between our two countries? 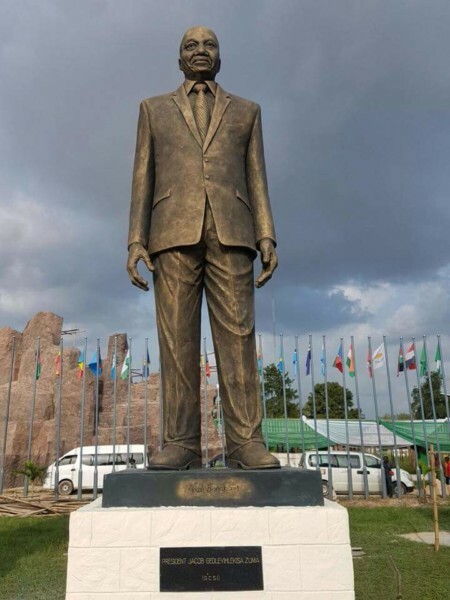 Governor Okorocha may have been trying to be a good host but to import a bronze statue of President Zuma, which South Africans rejected, and then physically implant him on Nigerian soil is an insult and overkill! Mr. Okorocha is of course, a master of the overkill. He does everything, good and bad, with the same level of enthusiasm. 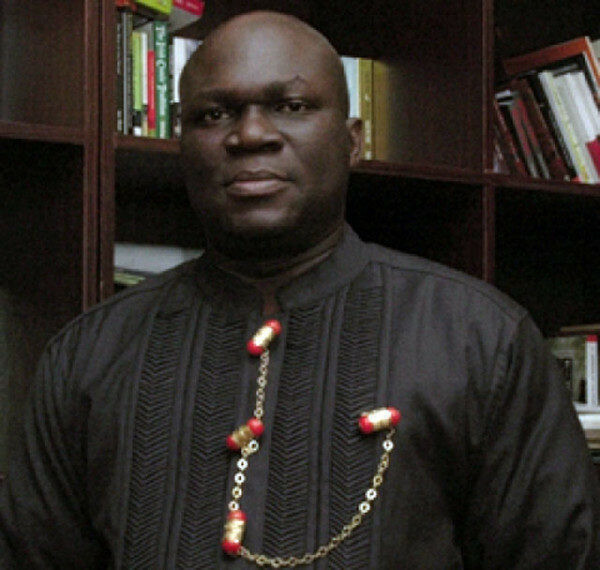 When he followed President Muhammadu Buhari to the United States in 2015, and got a sideline chance to shake the hands of President Barrack Obama, it became what seemed like the biggest event of his life. Billboards of him and the two Presidents suddenly started popping up all over the state capital with the inscription – “Behold the new faces of change”. How? Please, how does a mere handshake with Obama translate into change in Nigeria? In a particular billboard showing Okorocha and President Obama, he is described as “a true Igbo leader”. The same Okorocha who cannot even say a kind word about his own brothers who are asking for equity and justice for all Igbos? He was also once accused of naming a government building after his own daughter, that daughter’s husband is reportedly a member of the Imo State cabinet. When the Governor turned 55 recently, 27 women representing the 27 local governments in Imo State serenaded him with 27 cakes as gifts. Okorocha obviously has enough cake to last him till he leaves office, but he should be careful because too much sugar is not good for anybody’s health. But I must pause a little, here, to say this. I don’t have any personal axe to grind with either President Zuma or Governor Okorocha. I am in fact aware that Okorocha has been described by Nana Akufo-Addo, President of Ghana – “Grand Counsellor of Imo State” – as “a gift to humanity”. Of him President Olusegun Obasanjo, Chairman of the Rochas Foundation, has also said: “Rochas does not only love education, he has passion for the education of the underprivileged… I doff my hat for him for his great strides in education.” President Obasanjo made this statement at the 10th graduation ceremony of the Rochas Foundation Colleges. In 1998, Okorocha established the Rochas Foundation to provide free education to the children of the “poorest of the poor”. President Jacob Zuma has a similar Foundation known as The Zuma Foundation. This is what brought the two men together in the first place. President Zuma visited Nigeria to sign a Memorandum of Understanding between the Zuma Foundation and the Rochas Foundation. He spoke about the need to support the African Child. Between 2011 and now, the Rochas Foundation has established a total of five colleges – 2 in Imo state, one in Ibadan, one in Jos, and one in Kano. Tagged Project #55555, this free education programme, targeting orphans and the displaced, has reached about 15, 000 children from 55 African countries. The students’ population at the Rochas College in Kano alone is over 500. In the course of his visit to Nigeria, President Zuma interacted with Rochas Foundation students. Both men claim that they are determined to give to the African child, the same privileges and opportunities that they could not have, in the belief that it is better to use one’s achievements to raise the underprivileged. Zuma is a man of little education. Okorocha used to sell second-hand clothes while his mates attended school. He got to where he is by practically hustling through life. On the surface of it, both men can be said to mean well. But the tragedy of their recent meeting in Nigeria is that nobody believes the nice statements they both made. Africans no longer trust their leaders even when they openly profess good faith. They have learnt to suspect every move that they make. Across Nigeria, it is not surprising that the question is being asked: what is Okorocha’s next game? In South Africa, the same question is being asked of President Zuma. The people are no longer as stupid as African politicians assume. They are tired of being used as stepping-stones. I put myself in their shoes and I share their pain. Let Zuma and Okorocha stay away from funny billboards, the casting of bronze statues and castles of personal glorification. When in doubt, let them read Percy Shelley’s sonnet – Ozymandias. Statues will crumble, brought down by the opposition or ruined by the vagaries of weather and the ravages of time. But good deeds will endure and history will speak.